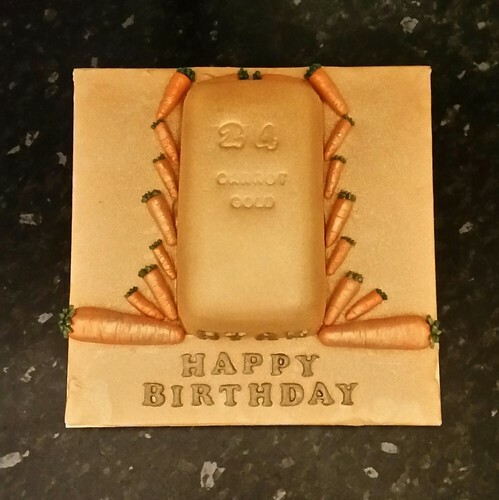 The only trouble with this 24 carrot gold cake was, I couldn't fit 24 carrots into the recipe! So, what better way to do 24 carrots was, decorate the cake with the remaining number using handmade fondant carrots! I used the my faithful carrot cake mix and baked it in a loaf tin. 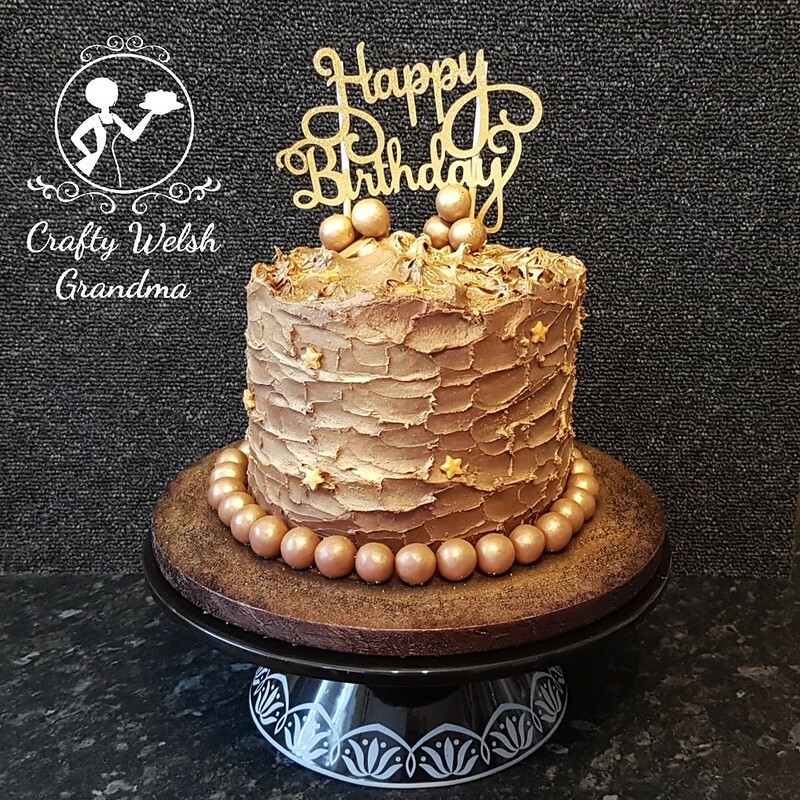 Once crumb coated and chilled, I used a thin layer of basic buttercream, I then covered it in gold tinted fondant and generously undercoated it with PME Gold Lustre spray (available at Amazon) then topped it off with a exceptionally generous coat of Cake Decor Gold Glitter Spray (I got mine from Wilko's but there are many similar products out there). Shape the one end so it tapers to a point. Use a knife to gently score along the length of your carrot so it looks like the ridges of a carrot. There's nothing wrong with 'ugly veg' so it doesn't have to be perfect. Using a small daisy cutter, cut a green daisy and 'glue' to the top of your carrot so it looks like the leaves. Each carrot was 'painted' roughly with edible gold paint and then sprayed with a little glitter. 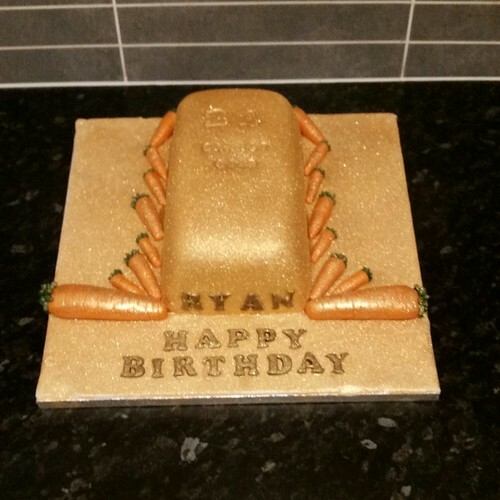 This cake if for my oldest son, he loves my carrot cake and, well, Mam didn't want to disappoint.